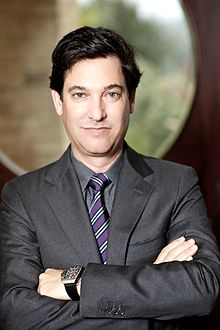 Jim Breyer of Accel Partners will step down from the Facebook board this June, according to an SEC filing. “It has been a genuine honor to serve as an investor and board member since April 2005 as Facebook has grown from an emerging social network for U.S. college students to a global service that connects over a billion people,” Breyer said in a statement. “After over eight years of board service, it’s time to step aside in light of my other responsibilities, including my recent election to the Harvard University Corporation Board. I will leave the board knowing that Facebook is a global Internet leader with exceptional leadership within the company and on the board,” he said. Breyer will continue to sit on the board until the date of the annual directors’ meeting, the filing said, which will occur on June 11 this year. Breyer has served on Facebook’s board of directors since 2005, and has been a partner at Accel, a venture capital firm, since 1987. He currently sits on the board of Brightcove, Dell, News Corp. (which, disclosure, is the parent company of AllThingsD) and Walmart. At its annual shareholder meeting in June, Facebook will ask its shareholders to reelect the eight currently sitting board members (not counting Breyer), including Marc Andreessen, Erskine Bowles, the recently named Susan D. Desmond-Hellmann of UCSF, Don Graham of the Washington Post, Reed Hastings of Netflix, current COO Sheryl Sandberg (who was also named to the board relatively recently), early investor and long-time adviser Peter Thiel and, of course, CEO Mark Zuckerberg.